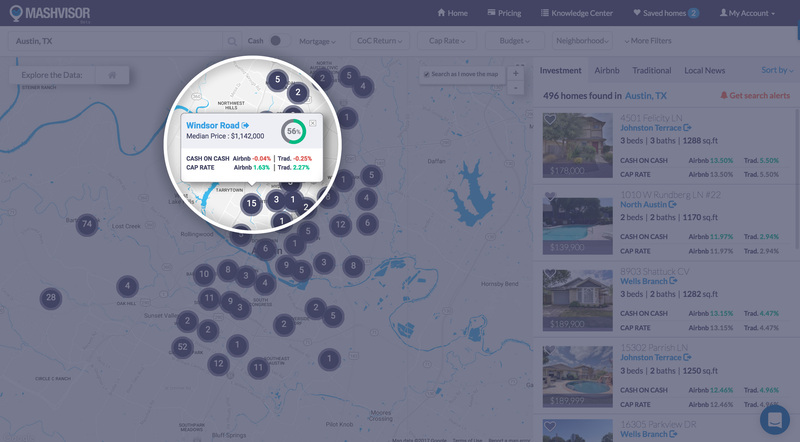 Rental property analysis – Use predictive real estate analytics to ﬁnd lucrative traditional and Airbnb rental properties in a matter of minutes. 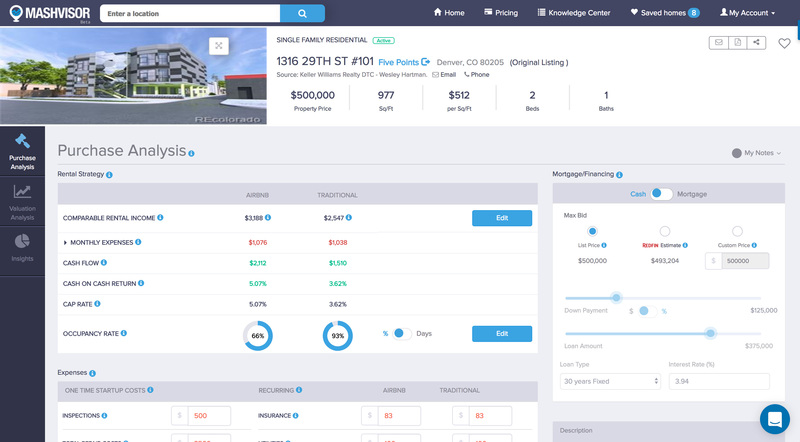 Rental property analysis is the focal point of Mashvisor’s design. 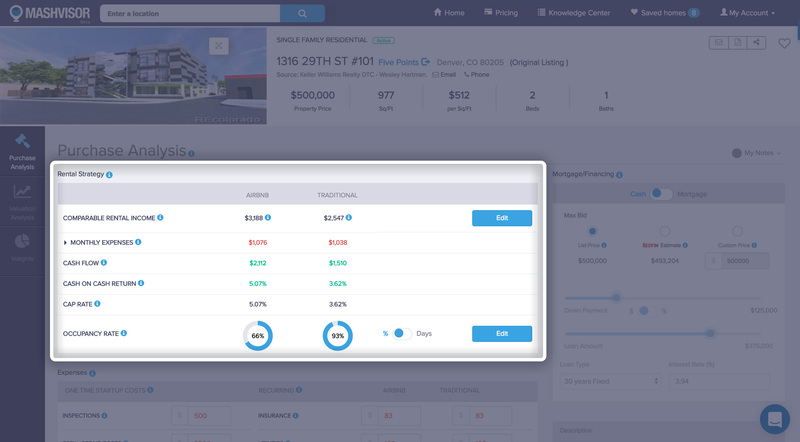 Mashvisor was designed to give its user the most effective and accurate rental property analysis to help them make their investment decisions based on comparative data and analytics. Location is one of the most important aspects of any rental property analysis! Using Mashvisor‘s tools, you can search for rental properties based on their location by using our neighborhood analytics and insights. The data that we gather in Mashvisor allows us to provide users with an accurate rental property analysis to determine the optimal rental strategy to use in order to achieve the highest return on investment. When doing a rental property analysis, it is crucial to know the type of property that you’re investing in! 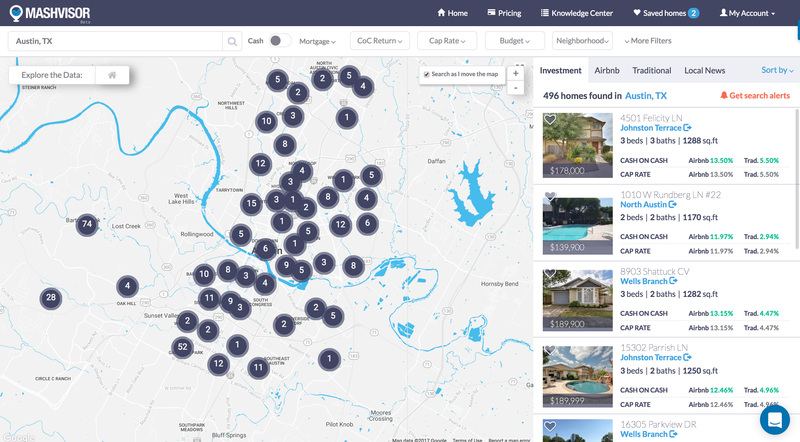 Mashvisor’s tools and filters allow you to filter out properties based on their type, age, size, and the number of bedrooms/bathrooms, in addition to a number of other filters that are related to the properties, their performance, and their stats. Have you ever wondered what it would be like to invest in a rental property knowing exactly how much profit it will generate for you? That is what a rental property analysis is for! With Mashvisor, you don’t have to wonder. All you need to do is go to the property’s analysis page, and you will find all the data that you need related to the property’s profitability, including a rental property’s cash flow and rental income. Using Mashvisor allows you to also learn about the rental property’s Airbnb occupancy rate based on the data that we gather from Airbnb as well as a number of other MLS sources. 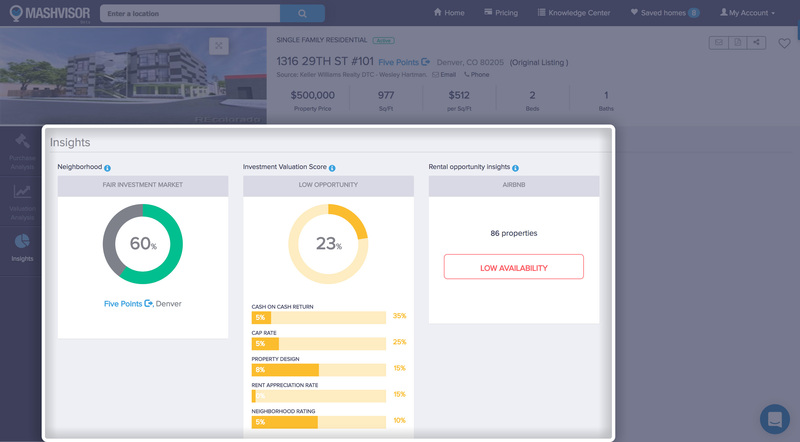 This can save the user countless hours of rental property analysis trying to gather enough data to determine the occupancy rate for the different rental properties. 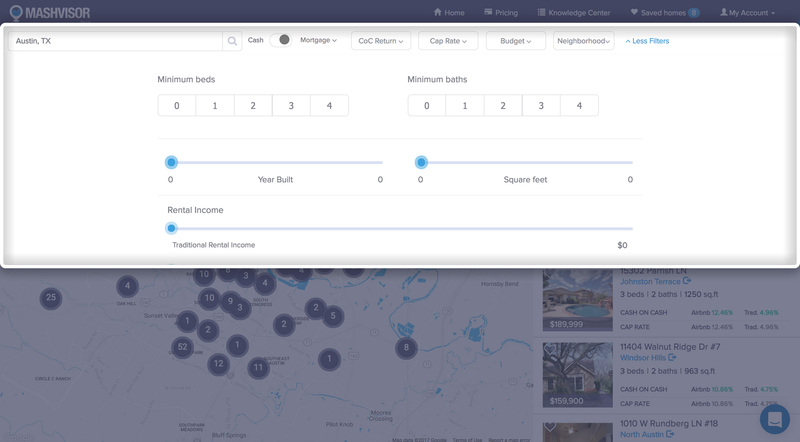 Mashvisor uses the most well known and common metrics used in a rental property analysis and in assessing a rental property’s returns; the cap rate and the cash on cash return. 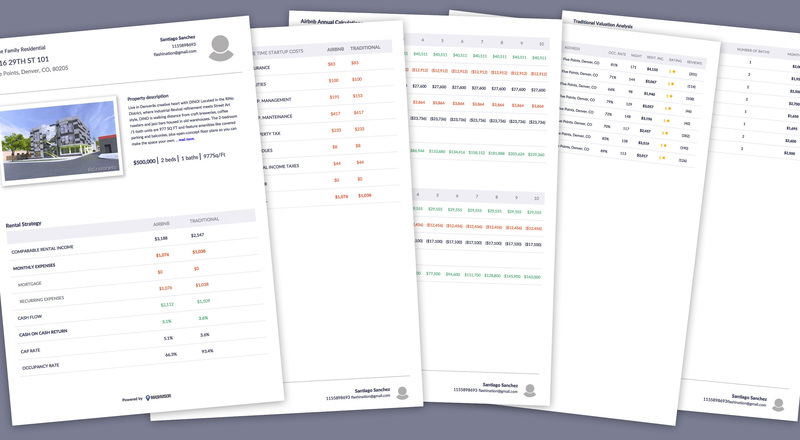 Mashvisor’s rental property analysis provides the user with these values based on our own calculations and the data provided to us by the different MLS sources.